Ruggedized. 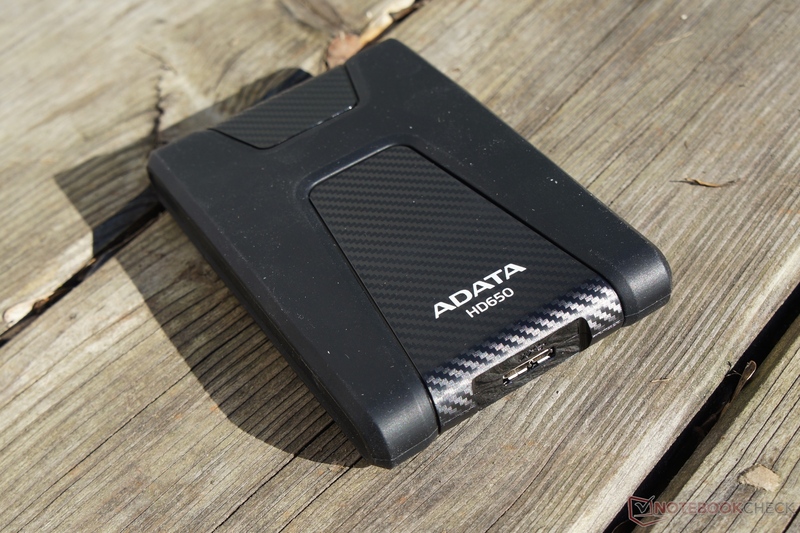 ADATA offers a robust external USB 3.0 HDD with the HD650. It can convince us with a quiet operating noise, decent transfer rates and a robust construction. 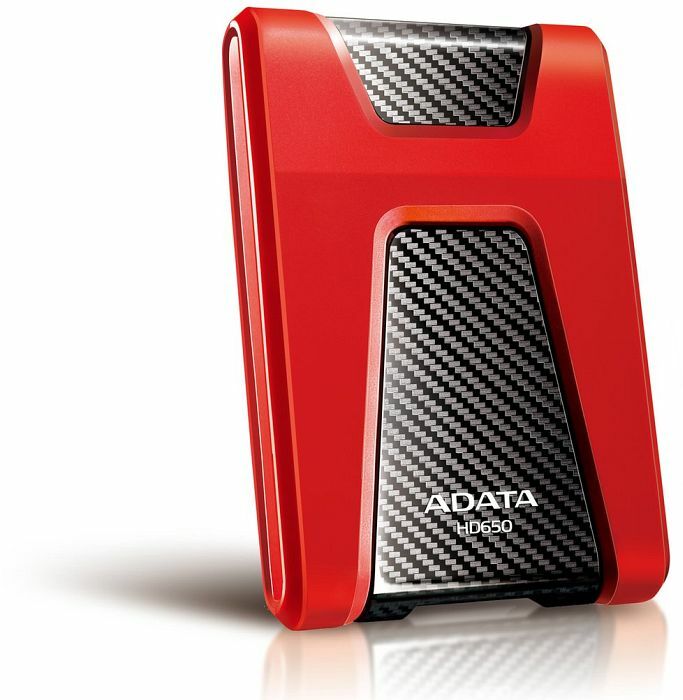 The case of the ADATA HD650 is made of a combination of a plastic body and a protective silicone cover. The latter protects the edges in case of an impact. 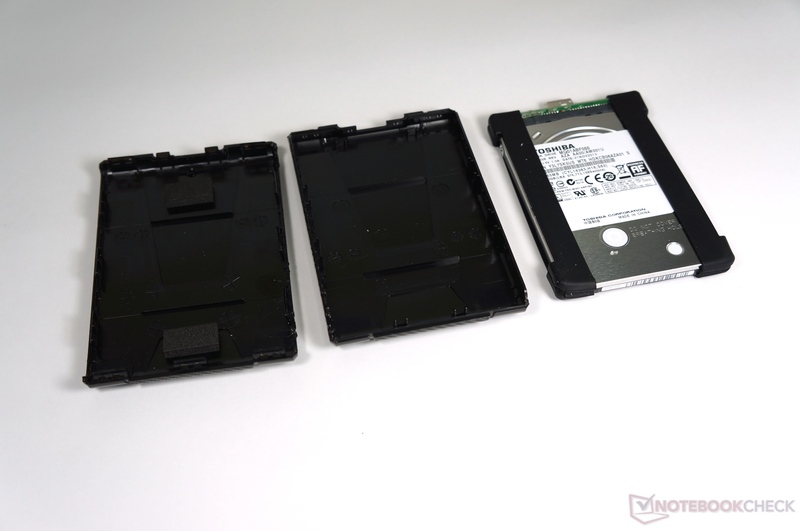 The hard drive inside the case, a Toshiba MQ01ABF050 2.5-inch HDD, is protected by silicone as well. The plastic case itself has a surface pattern and looks like carbon. 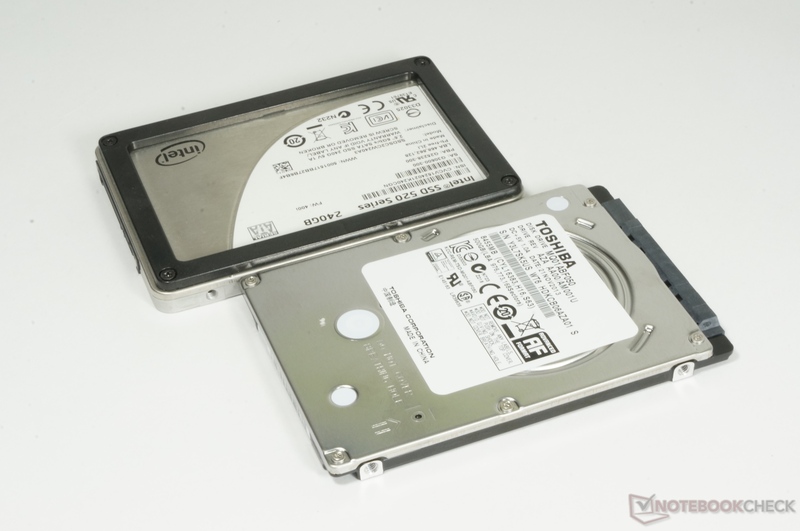 The HDD leaves a nice and high-quality impression if you do not look too closely. You can, however, see some smaller irregularities in regard to the gaps. 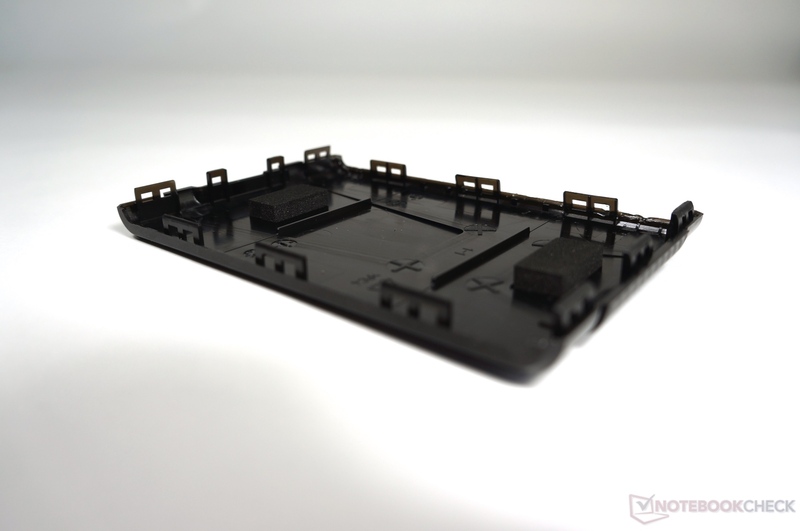 Overall, the build quality and the stability are on a very good level. 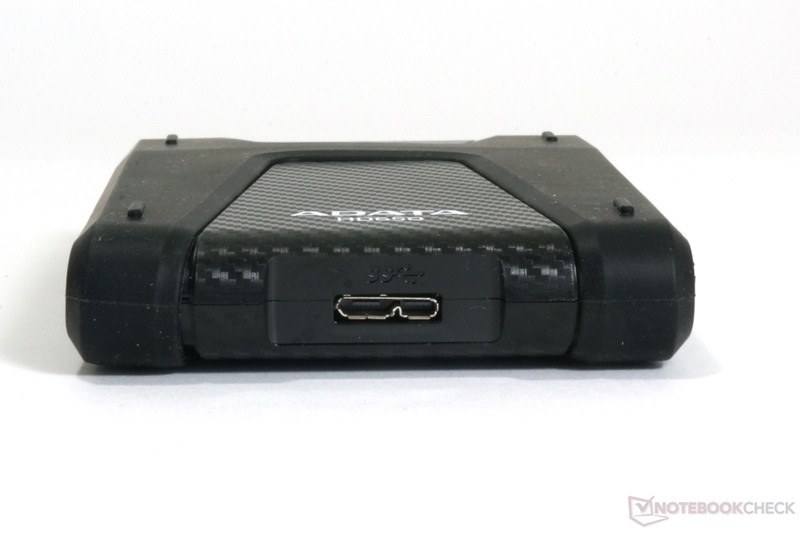 We can measure a weight of 176 grams without cable (199 grams with cable) for the HD650 with a 500 GB HDD. This is pretty light, a 2 TB WD My Passport, for instance, weighs 231 grams (253 grams with cable). If this is still too heavy you could have a closer look at the external SSD SE720 with just 104 grams. 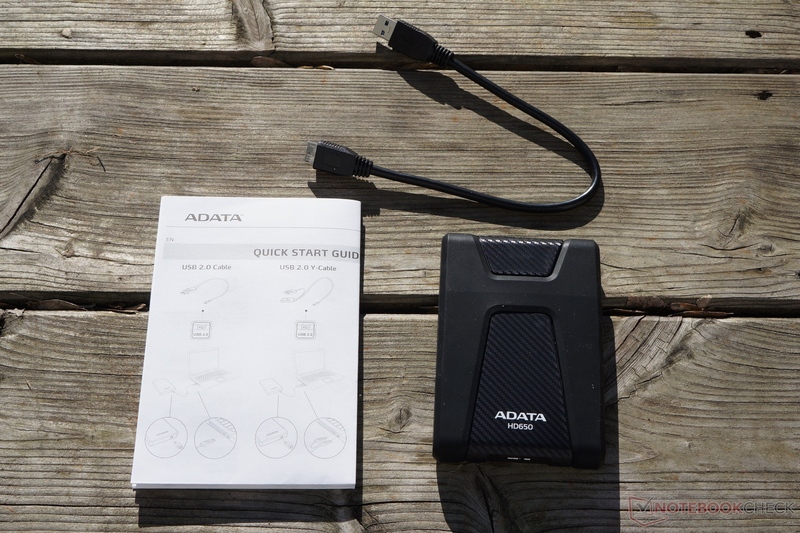 The box only contains the drive itself, a connection cable from the USB 3.0 micro-B connector at the HDD to the standard USB 2.0/3.0 type-A connector as well as an information sheet. 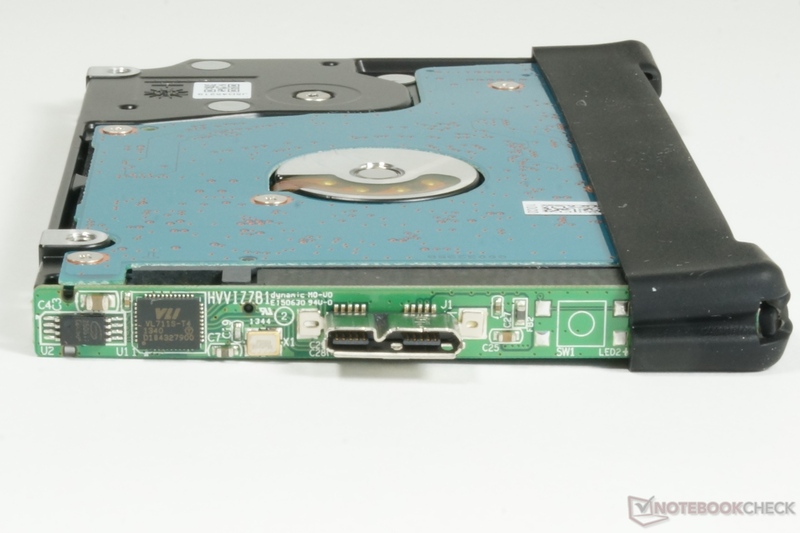 It takes some strength and several screwdrivers to access the HDD inside the plastic case. The case is secured by clips; you can only open it with a lot of force and you will probably damage the plastic. 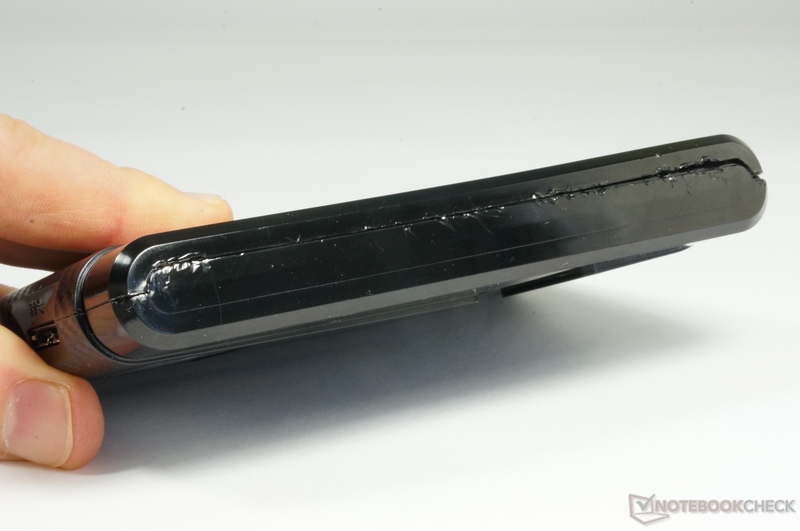 However, the silicone sleeve will cover any signs of damage, but it might void the warranty. 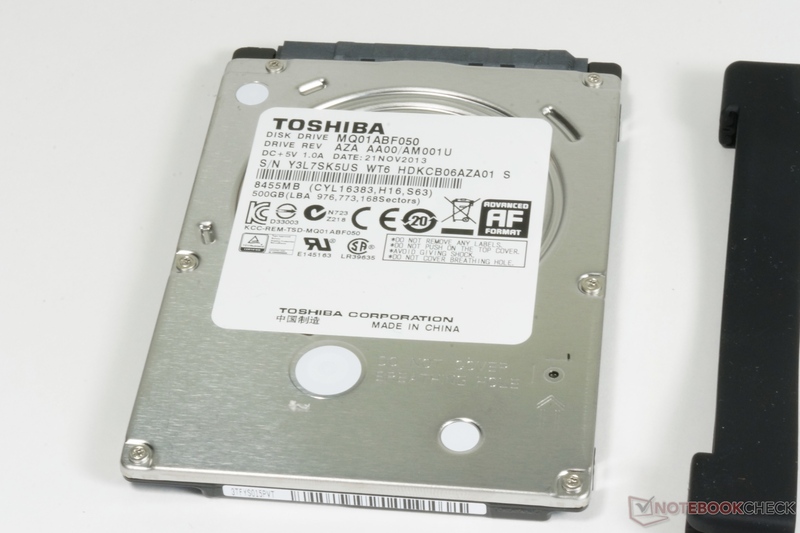 Inside, you can find the formerly mentioned Toshiba MQ01ABF050 2.5-inch hard drive with a height of just 7 mm. 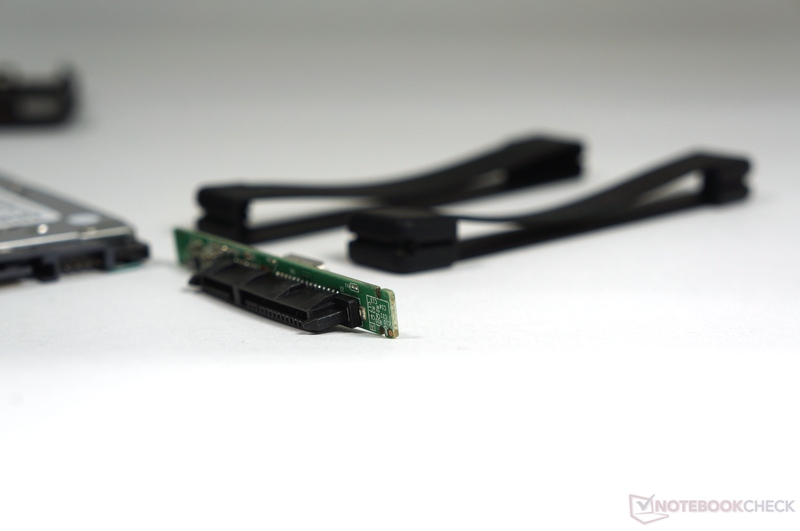 The connection to the PC is established via VLI VL711S-T4 USB 3 SATA Bridge. 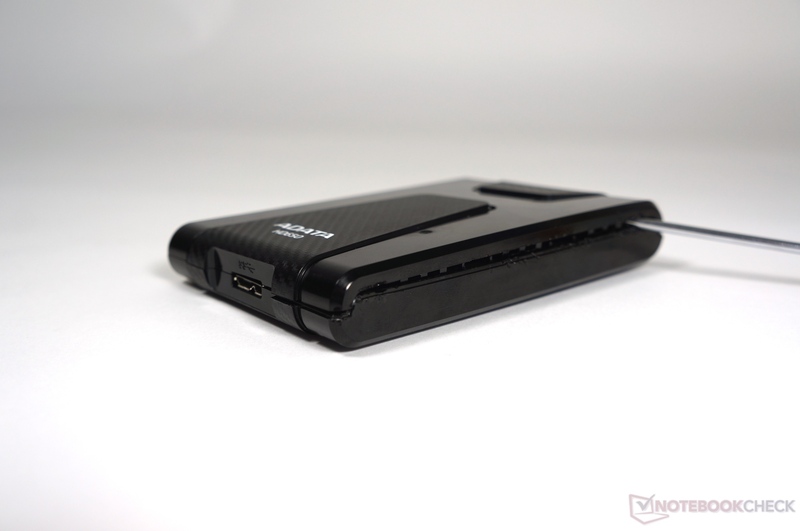 We primarily tested the HD650 with a Schenker S413 via USB 3.0 port (directly at the Haswell chipset) and Windows 8. The sequential transfer rates are actually quite good for an external hard drive. 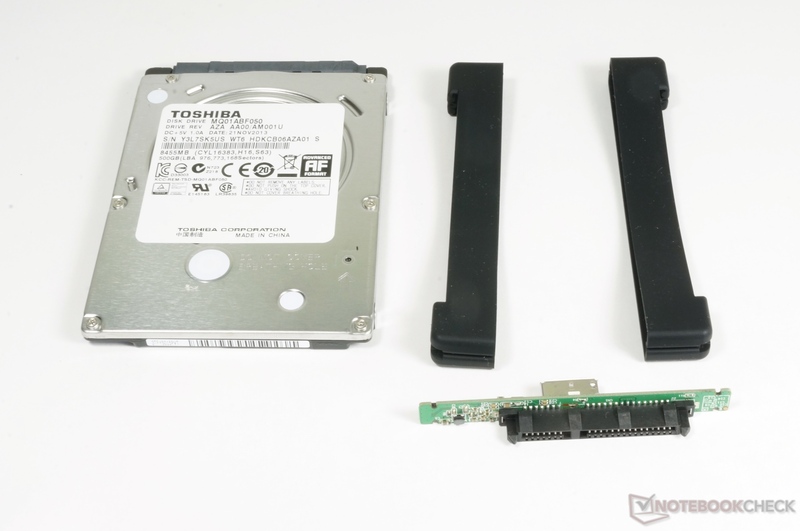 Compared to the internal Seagate Momentus Thin ST500LT0, the HD650 can even take the lead, and the similar Toshiba MQ01ABF050 inside the Toshiba Satellite C55-A-1D5 falls behind as well. We can only see a performance drop in the 512 KB Write benchmark of CrystalDiskMark. 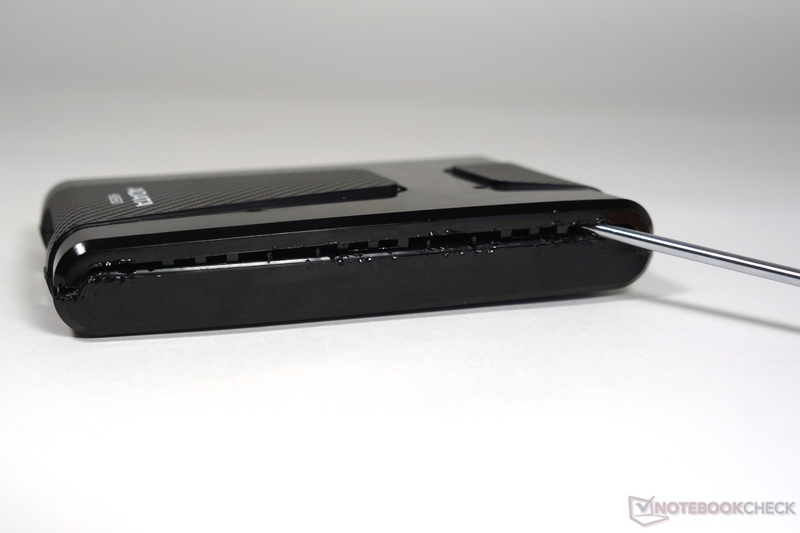 The SE720 SSD is always superior, but the difference is only quite big in the 512 KB tests. The HD650 obviously cannot compete with the SE720 with random 4 KB files. The situation is better compared to the internal hard drive, but there is still a significant difference due to the USB 3.0 interface. It can, however, take a small lead with the reading of 4k files. Copying files onto the drive is probably the most important test for an external storage solution. 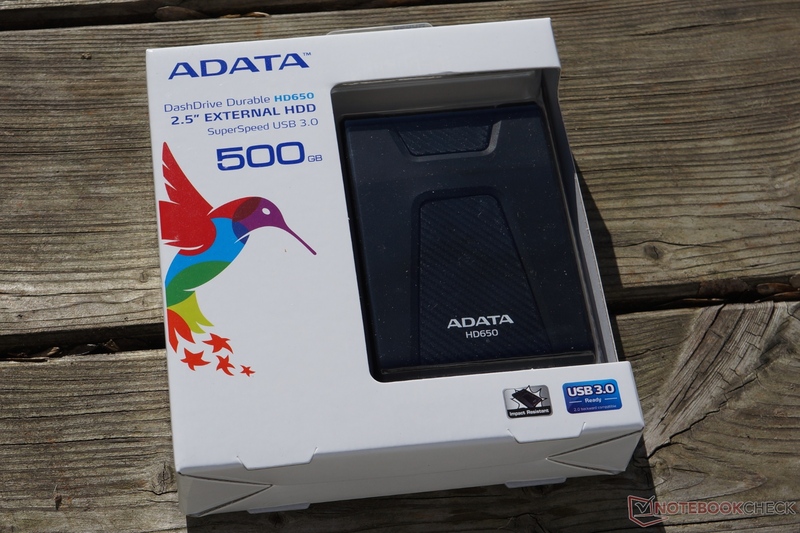 We tested the performance with the AS SSD benchmark. 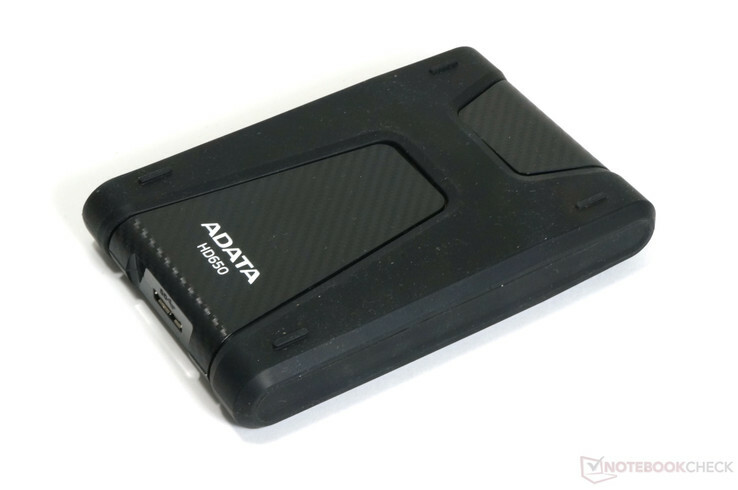 The HD650 does pretty well compared to the internal drive with an ISO file; an application or a game with many small files, however, result in a significant performance drop and quickly show the disadvantage of the USB 3.0 interface. The SE720 is once again superior and clearly ahead of the HDD competition; the difference is huge with 14 seconds compared to 104 seconds in the copy test (SE720 vs. HD650). 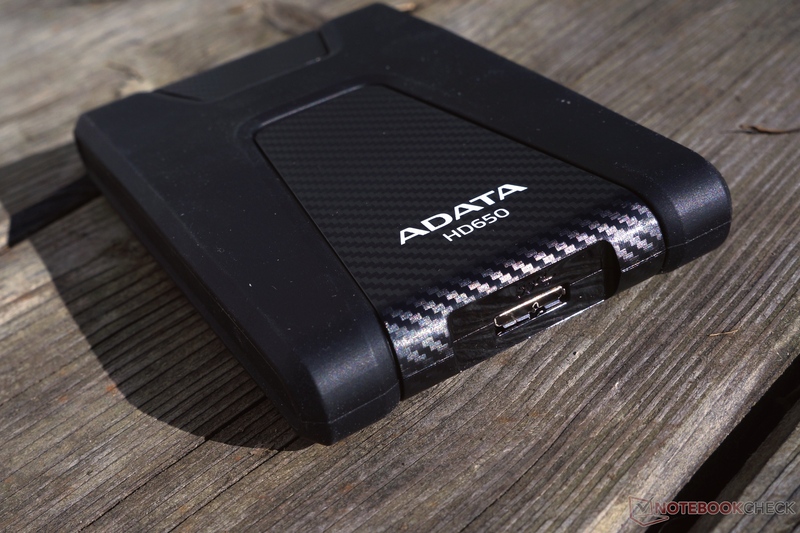 The access times of the HD650 are surprisingly good in our test; the internal Seagate HDD cannot keep up. The SSD obviously has significantly lower access times. We also wanted to show you the Storage score of PCMark 8 to compare the HD650 with the SE720, but we could not perform this benchmark with the HD650. 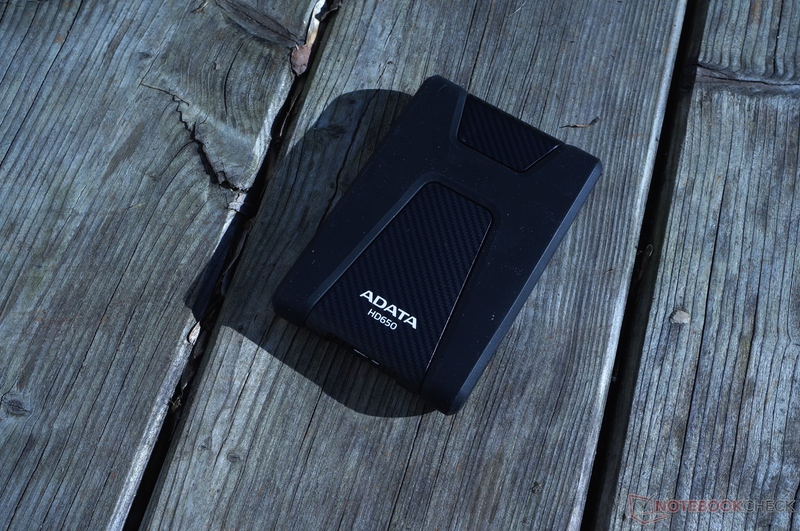 The ADATA is a robust external USB 3.0 hard drive. The integrated Toshiba HDD of our review unit is protected against impacts by silicone on the outside and also inside the case. Another advantage of the soft cover is the quiet operating noise of the HD650, which also benefits from the quiet Toshiba MQ01ABF050. Despite the 5,400 revolutions per minute, the transfer rates are actually pretty decent. You also get a 3-year warranty. One drawback is the hardly accessible case. You will have to decide for yourself whether you are willing to pay the additional charge of around 25% compared to an unprotected external drive.